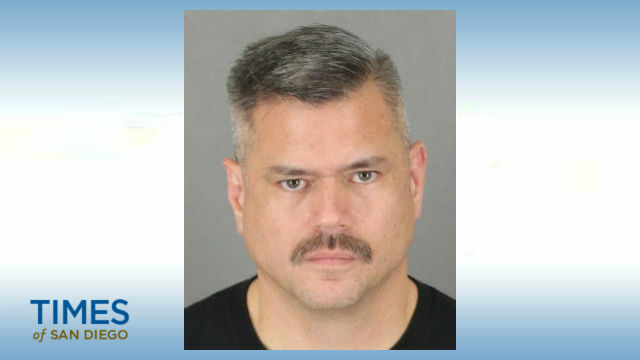 A San Diego County sheriff’s deputy was free on bail Thursday following his arrest by Riverside County authorities on suspicion of lewd acts with a child. Sam Thomas Knight, 40, was arrested Tuesday and booked on suspicion of lewd acts with a child and child molestation, according to Riverside County Sheriff’s Department. He was released the following day on $65,000 bail. According to the department, the investigation started in July 2016 when deputies at the Perris Sheriff’s Station received a tip about a “sexual assault of a minor.” Knight was identified as the suspect and was arrested in San Diego without incident, the department told Times of San Diego. San Diego County sheriff’s officials said Knight has been placed on leave and relieved of his law-enforcement authority. San Diego Sheriff’s Bill Gore fired Knight in 2014 for putting an inmate in an unsanctioned chokehold. The incident was caught on surveillance video (though the video was never released to the media). The chokehold was not a department-approved maneuver. San Diego County Civil Service Commission, the agency that reviews employee discipline, however, disagreed with Gore and reinstated Knight. “It is clear that Sheriff Gore felt that Mr. Knight should not be a Deputy Sheriff, and the Sheriff’s Department did everything possible to ensure that was, in fact, the case,” Stubkjaer said. Anyone with information about the case was asked to contact the Perris Sheriff’s Station at (951) 210-1000.